I was born, the son of a dustman and a housewife, in April 1955, and brought up alongside a younger brother in the market town of Ludlow, Shropshire, where I went to the local grammar school and became a persistent truant, gaining five O Levels, but no A Levels. I was also a bit of a street urchin, and the RAF was not prepared to let me fulfil my childhood ambition of becoming a pilot. 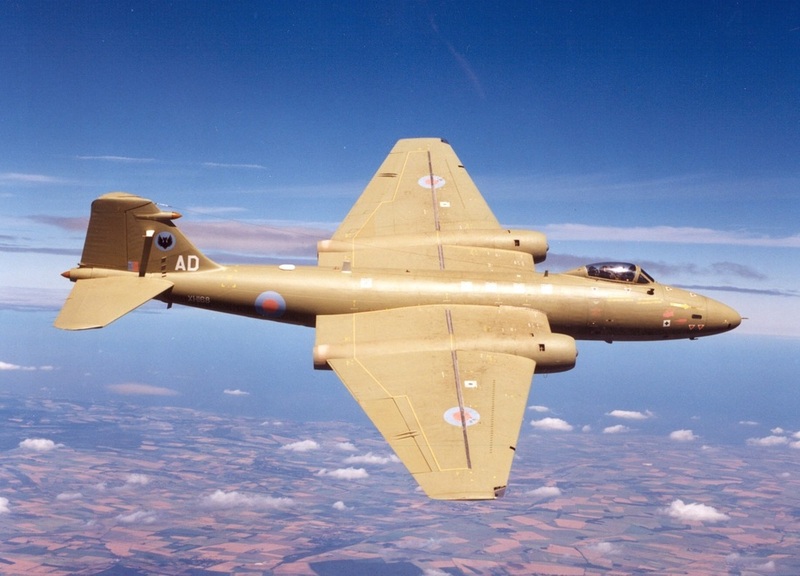 So, in late 1973, I joined the Service as an apprentice technician, a Trenchard Brat, completing three years at RAF Halton, training as an airframe and propulsion fitter. In contrast to school, I really enjoyed my studies and did well at the academic as well as the practical stuff. 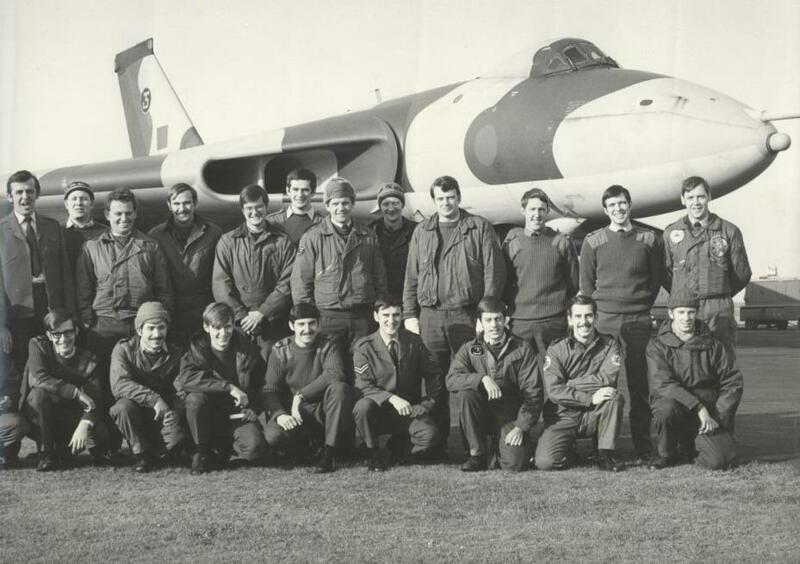 On graduation in late 1976, I was posted to RAF Scampton, where I worked for two and a half years as a junior technician and corporal on Vulcan delta-wing bombers. Throughout, I'd retained the ambition to fly, and I gained my chance in 1979, when I finally achieved selection as a potential officer and pilot. 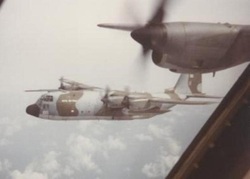 After 4 months officer training, I graduated as a Flying Officer and battled through flying training on the Chipmunk, Jet Provost and Jetstream to gain my wings in 1981, at which point I was posted to RAF Lyneham as a C-130 Hercules co-pilot. For the next three and a half years, much of my time was spent in the South Atlantic, flying to and from Wideawake Airfield on Ascension Island. But I also saw much of the rest of the world, from Las Vegas to Hong Kong, and Canada to New Zealand. By the end of my co-pilot tour, I wanted nothing more than to become a Hercules captain. But, the RAF had other ideas, and, in early 1985, I was sent to train as a flying instructor. So, it was back to RAF Scampton, no longer a Vulcan base, but the home of the Central Flying School, and the Red Arrows. After struggling through the CFS course, including a change of aircraft from the Jet Provost to the Bulldog, I finally qualified as an instructor and joined the staff of the University of London Air Squadron at RAF Abingdon, near Oxford. Much to my surprise, I found that I thoroughly enjoyed teaching undergraduates to fly. And, perhaps because I'd found my own flying training tough, I seemed able to help some of those who were struggling. I was privileged to teach some truly inspirational young men and women, including many who have gone on to great things in both the military and civilian spheres. 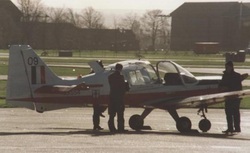 In 1988, I passed the ground and flying tests to become an A Category instructor. 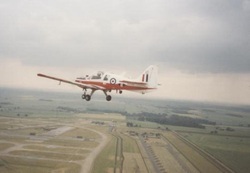 A few months later, I was posted to Scampton for the third time, this time on the staff of the Central Flying School, training new Bulldog instructors. Teaching pilots to talk didn't seem quite as satisfying as teaching university students to fly, but again, I learned a lot and enjoyed being on the same airfield as the Red Arrows. Highlights of this posting included a memorable three aircraft trip to Denmark, a long way in a Bulldog; and being responsible for the Queen Mother's chair during a Royal Visit to Scampton. 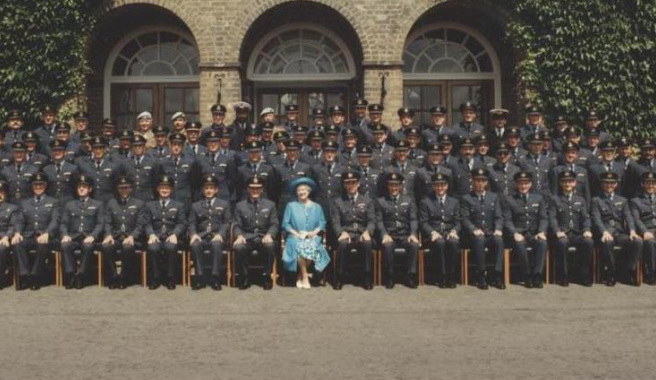 When the group photograph was finished, I had to whisk the chair away - after she'd stood up - so she could walk into the Officers' Mess for lunch. It was my greatest responsibility to date! In 1989, I was promoted to the rank of Squadron Leader, and, after a plea to return to the Hercules fell on deaf ears, I served on the staff of HQ Support Command at RAF Brampton. Flying a desk should have been the end of my life, but I learned many lessons from a wonderful boss, and often enjoyed myself to boot. 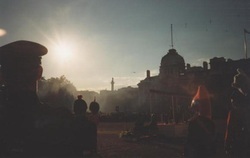 In June 1990, I stood on Horseguards Parade behind a dais on which sat the Queen Mother. I was there to call in the flypast that would end her 90th Birthday celebration. On a nod from Major Michael Parker, the Queen's impresario, I spoke on one of five phones - just in case - to the control tower at Northolt, who set the aircraft - a Swordfish and 4 Navy Sea Kings, 5 Army Lynxes, the Battle of Britain Memorial Flight and 9 RAF Hawks - on their way. It was quite an occasion. 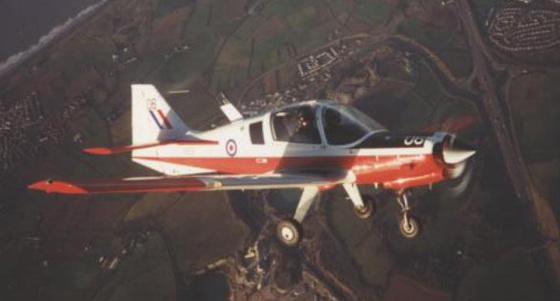 In 1992, I had to accept that I'd been type-cast as a Bulldog instructor when I was appointed to command the University of Wales Air Squadron at RAF St Athan in south Wales. There, we taught 65 undergraduates from the five Colleges of the University: Bangor in the north, Swansea and Cardiff in the south, and Aberystwyth and Lampeter in between. 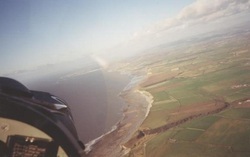 When my students weren't burning things down, or otherwise getting me into trouble, I had a good time, flying up and down the south Wales coast, and occasionally into mid and north Wales. Again, I learned valuable lessons in leadership, and taught some very gifted young men and women, many of whom have gone on to great things. 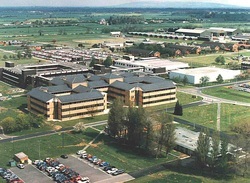 Much to my surprise, I was selected to join the 1994 intake of the RAF Staff College at RAF Bracknell, toward the end of the era when the three Services ran separate, 10-month, courses to prepare chosen officers for command and staff appointments in higher rank. My surprise stemmed from the fact that I was a Bulldog pilot - hardly the sexiest aircraft, although I loved it dearly - and that I was older than most of my fellow students - because of my previous airman service. 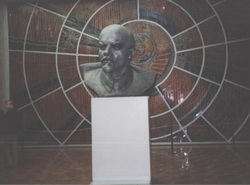 From the outset, I found all the geo-political lectures and visits fascinating. 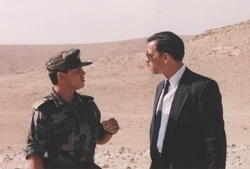 So was mixing with officers from other services, and the other staff colleges, as well as the many officers from overseas, including Prince Feisal of Jordan and an Israeli fighter pilot. What a mix. 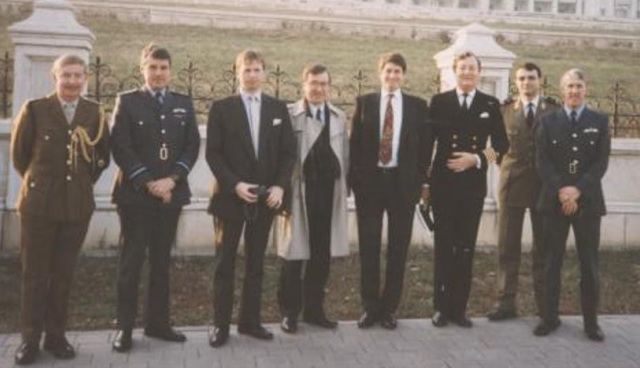 In December 1994, I went to the Ministry of Defence in Whitehall to become Defence Staff Talks Secretary. It was a 'what it says on the tin' job, during which I organised 18 sets of talks with foreign MODs, nine at home, with countries such as Russia, France and Italy; and, more excitingly, nine overseas, in places such as Japan, Israel, Romania and Belarus. For a 3, 2 or 1 star, military or civilian, delegation head, I was responsible for every aspect of the talks - date, venue, agenda, speakers, interpreters and hospitality, including the venue, menu and seating plans for the many meals. No-one else was interested until the day the talks began, and they all forgot about them as soon as they finished, while I wrote the report and organised the next set. It could be pretty stressful, but it was also endlessly fascinating and, most of the time, I thoroughly enjoyed it. After exactly one year organising Defence Staff Talks, I was promoted to the rank of Wing Commander, and given command of the University of London Air Squadron, the unit on which I'd been a junior instructor 10 years earlier. The appointment began and ended with an audience in Buckingham Palace, a building I never thought I'd see from the inside. Once again, I worked with and taught some very gifted people, including a young lady who would go on to be the first female Red Arrows pilot. Perhaps as a sign of a mid-life crisis, I also completed a parachute jump and ran the London Marathon for the first time. Less pleasantly, I presided over a board of inquiry into a fatal aircraft accident, a very sobering process. 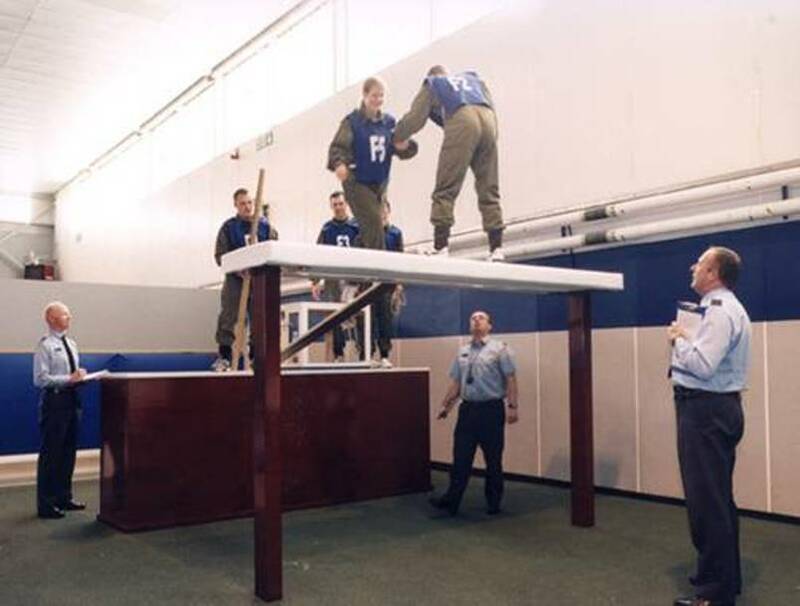 In late 1998, it was back to flying a desk, this time at the RAF Personnel Management Centre, RAF Innsworth, near Gloucester. With a staff of 6 squadron leaders and 6 civilians, I became responsible for the career management of 2,600 junior officers - all the pilots and those in the Operations Support branch. 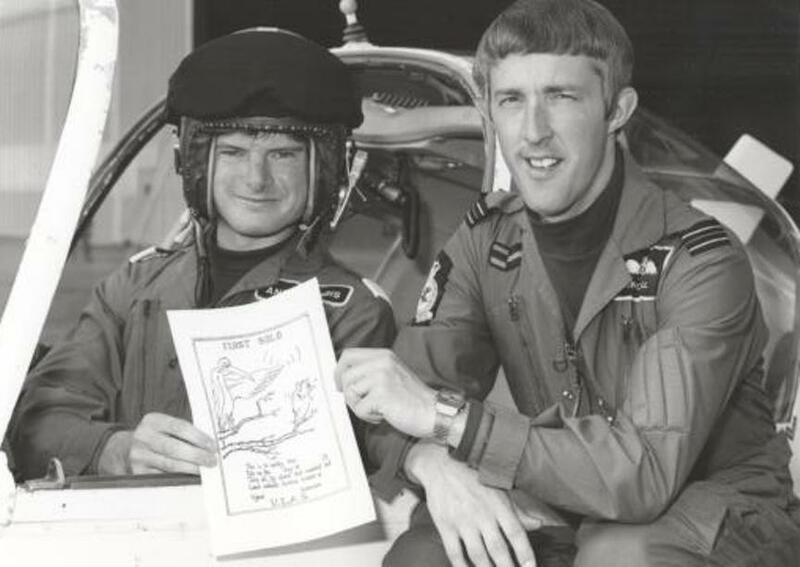 Between us, we signed off every posting and major course our charges undertook, including deciding which aircraft every trainee emerging from training should fly on the front line. We even decided who should compete for the Red Arrows each year, and ratified their selection. Again, I learned a tremendous amount, including how much hard work and career planning a politician can undo with one stroke of a pen; for instance, by cutting the budget and/or the size of the Forces. 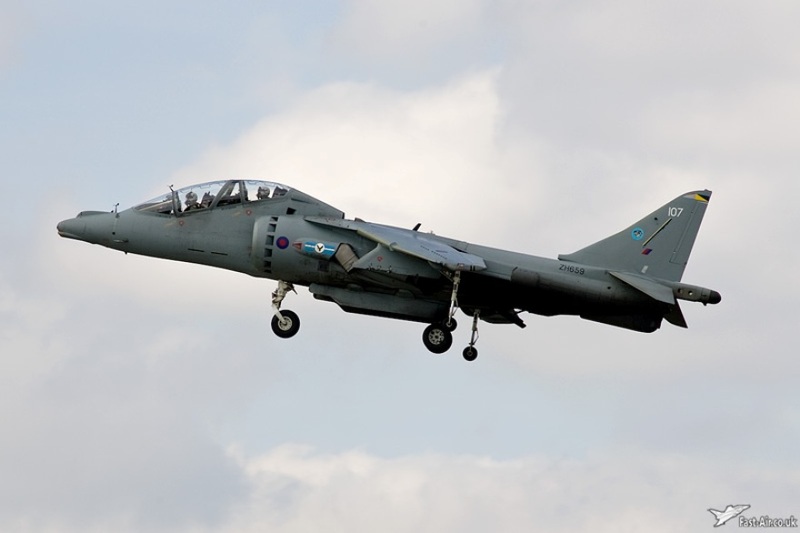 I also enjoyed a flight in a Harrier, and ran the London Marathon for the second time. Next came another unexpected posting. 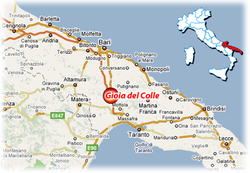 In October 2000, I began four and a half months as RAF Detachment Commander at Italian Air Force base Gioia del Colle in southern Italy. 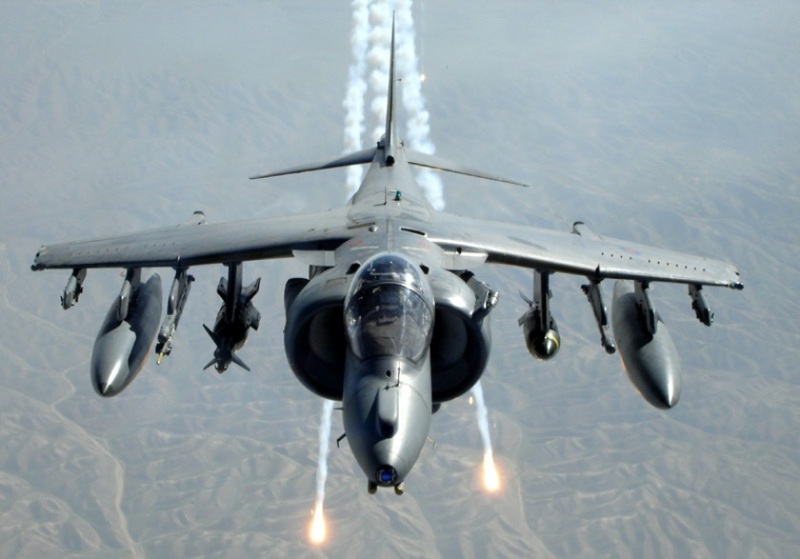 From there, the detachment operated Harriers and, occasionally, Canberras and other visiting aircraft, in support of the UN peacekeeping forces in the Balkans. Selecting a Bulldog pilot to such a post raised a few eyebrows, and I don't think I'd have been given the job if it had been a 'hot' war. But, the situation had been relatively quiet for several months, although there were blips, and the aircrew were always prepared for an escalation of hostilities. Anyway, it was the high spot of my RAF career, not only working with some incredibly gifted, brave and committed people, but also living among the local community in a beautiful part of Italy. After Italy, it was back to the MOD in Whitehall, to another fascinating job as the desk officer responsible for our day to day military relations with China, Japan, Korea, The Philippines, Thailand and Vietnam. Territorial disputes over Taiwan and many of the island chains in the region, plus a maverick North Korea, give the Far East the potential to be one of the major flashpoints in the world. But I was lucky that it remained largely quiet for the year I was in post. Again, I organised the hosting of many high ranking visitors, and was lucky enough to visit all six countries, seven if you count a five yard walk into the North Korean end of the hut at Panmunjon that is occasionally used for 'peace' talks between the protagonists of the Korean War. In March 2002, having just run the London Marathon for the third and final time - hip wear and tear - I was promoted to the rank of Group Captain and took over the RAF Officers and Aircrew Selection Centre at RAF Cranwell. It was the unit which, 30 years previously, had twice turned me down (when it was based at RAF Biggin Hill). 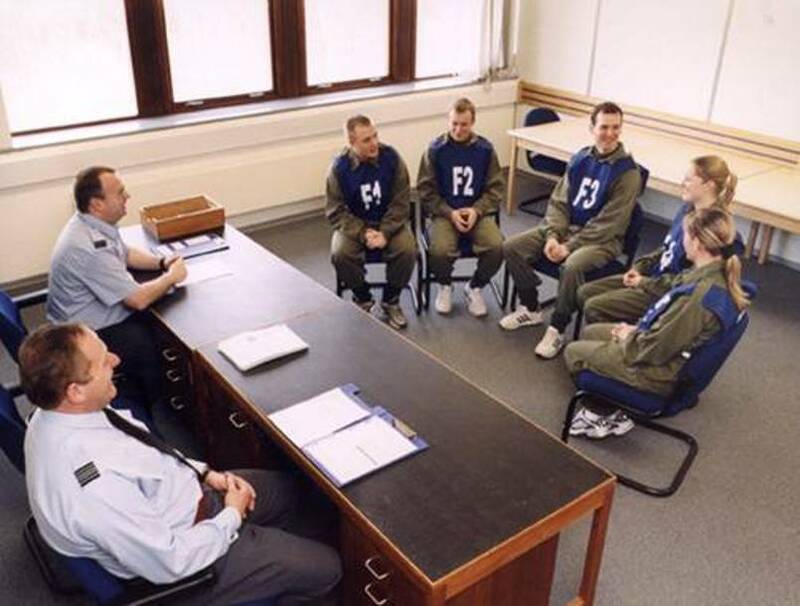 I became responsible for the selection of all RAF officers and aircrew, heading a selection process designed to identify future leaders and those with the potential to succeed in flying training - another fascinating job. On taking over, I was beaten with a stick to attract and select more people. Two years later, when a politician had again put pen to paper, I was beaten with a stick for selecting too many. In April 1994, I was chosen to head a study into the provision of flying and gliding for youngters in the Air Cadet Organization. 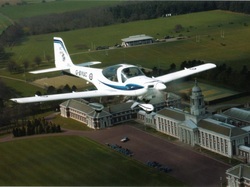 The study followed another that recommended the near immediate closure of many of the bases used for Air Cadet flying and gliding. I and three squadron leaders spent four months researching and writing a report, including comprehensive costings that I was chuffed to discover were still being used several years later. Our major recommendation - leaving everything where it was until bases actually closed - saved money, but still didn't go down well with those who aspire to change for change's sake, or to make a name for themselves. Ultimately though, I feel we were vindicated. A decade later, most of the bases are still open in one form or another. Following the study, in September 2004, I was given what should have been my dream job, the one for which many of my previous appointments had prepared me. It was Officer Commanding No 1 Elementary Flying Training School, running the first stage of flying training for the Royal Navy, Army and RAF, and including my first love, the 14 University Air Squadrons. But, yet another study had been done, and this one recommended taking much of the flying from the University Air Squadrons. I fundamentally disagreed with it, and my staff discredited much of its reasoning, especially the manpower and financial savings promised. But, in a move that would be familiar to anyone in public service, the study was implemented anyway. I felt unable to put a positive spin on the outcome; so, rather than be grumpy for the rest of my appointment, I retired early, leaving the RAF in October 2005. Despite the low point of my eventual departure, the majority of my 32 years in the RAF were fantastic. I met and worked with some marvellous people, and got to see and do things I could never have dreamed of while growing up in Shropshire. Every one of the snapshots above hides a fund of stories and experiences that I hope to reveal as I write more volumes of memoir, and some of which I cover in my various talks. Others may have a different view, but my story is that I never sought promotion. I just jumped every hurdle put in front of me, and did every job to the best of my ability. Toward the end of my career, one of my bosses described me as a task-oriented workaholic. At the time, I dismissed the label, but he was probably right. 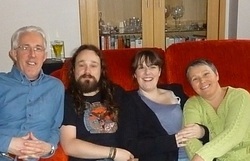 And, of course, much of the task focus was to the detriment of my family. I spent many off-duty hours working, when I should have been with them. There is no doubt that I could not have achieved any of the foregoing without their support or, at least, forebearance. So thanks go, first, to my parents and younger brother, then to my wife and children, pictured above. I owe them everything. 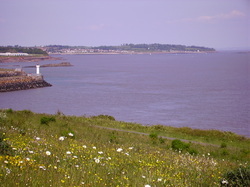 We now live on a beautiful headland in South Wales, where I write books, articles and short stories. Every now and then, I go out public speaking, restaurant reviewing for the Cardiff Food and Drink Guide or to my writing group, the Tiny Writers of Penarth. With my wife, I enjoy walking, both locally and on more adventurous UK or European walking holidays, and I was lucky enough to take part in a medical research trek to Everest Base Camp - which features in one of my talks - Extreme Everest. We also enjoy trips to the theatre, cinema and Cardiff's various music venues, and we watch Cardiff Blues rugby as season ticket holders.You never know what's around the corner, but, at the moment, I feel incredibly privileged and fortunate. 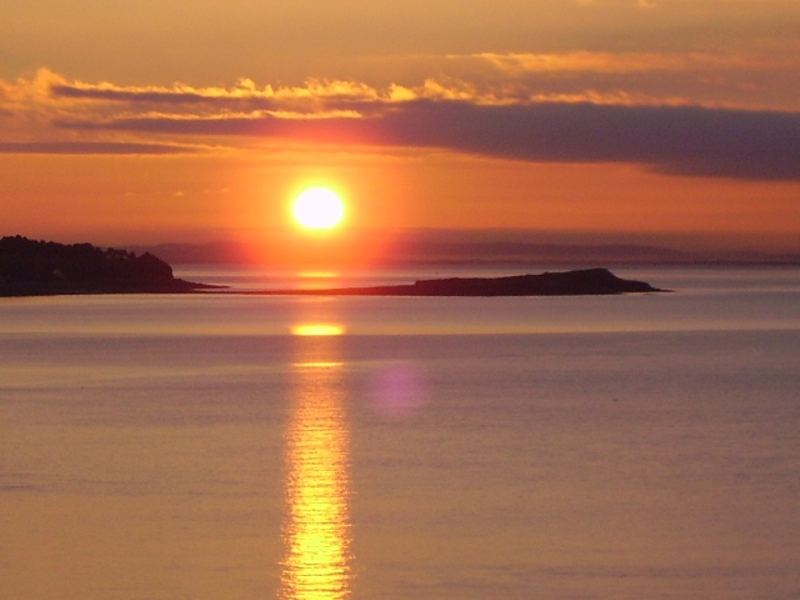 The view from our bedroom window - every morning!